The Pacers are back in the playoffs and will begin their latest postseason charge this weekend. The NBA has announced the schedule for the first round of the 2019 NBA Playoffs. 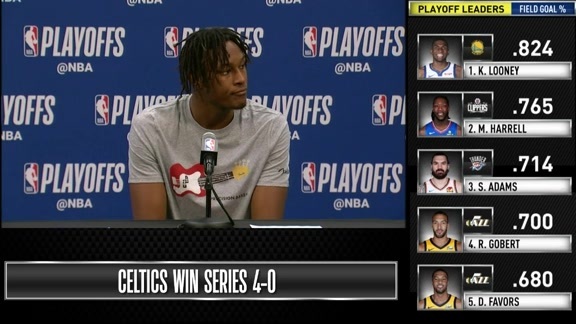 Indiana finished in fifth place in the Eastern Conference and will face the fourth-seeded Boston Celtics in the first round in a best-of-seven series. For the fourth straight year, the Blue & Gold will open the postseason on the road, this time at TD Garden in Boston on Sunday, April 14. Game 2 will be on Wednesday, April 17 before the Pacers return home to host the Celtics for Games 3 and 4 on Friday, April 19 and Sunday, April 21. Games 5-7 will only be played if necessary. Each of the first four games will be broadcast nationally on either ABC or TNT. Games 1-3 will also air locally on FOX Sports Indiana. The Pacers and Celtics met four times during the regular season. 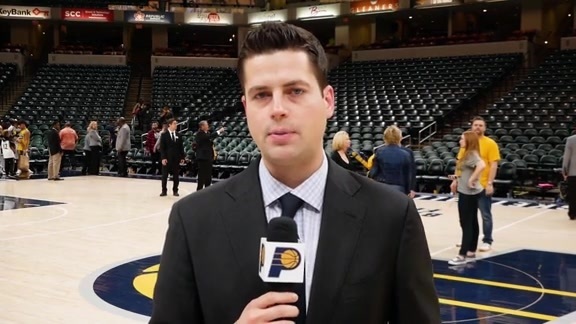 Indiana won the first meeting in dramatic fashion, with All-Star guard Victor Oladipo knocking down the game-winning 3-pointer in the final seconds to lift the Pacers to a 102-101 victory on Nov. 3. 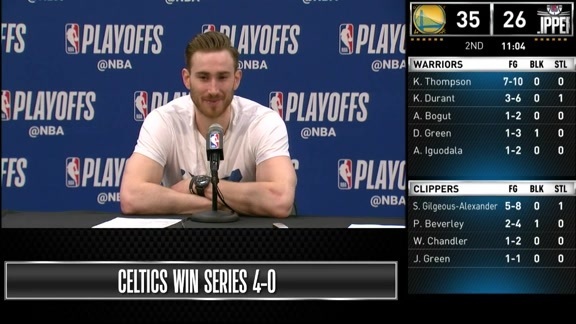 But Boston prevailed in the final three games, including a last-second win on their home floor on March 29 and a win in Indianapolis on April 5. Though the Pacers lost Oladipo to a season-ending knee injury on Jan. 23, they still remained in the upper echelon of the Eastern Conference, contending for a top-four seed and homecourt advantage in the first round up until the final days of the regular season. In Oladipo's absence, a number of players have raised their games under the guidance of head coach Nate McMillan. Sharpshooter Bojan Bogdanovic has become a go-to scorer, averaging 20.7 points per game while shooting 50.3 percent from the field and 41.1 percent from 3-point range since Oladipo went down. 23-year-old Myles Turner emerged as a two-way force, leading the NBA in blocked shots for the first time in his career. Fellow big man Domantas Sabonis has been a double-double machine off the bench and inserted his name into the Sixth Man of the Year conversation. Factoring in a strong veteran core that includes point guard Darren Collison, jack-of-all-trades forward Thaddeus Young, and free agent acquisition Wesley Matthews, what the Pacers lack in star power, they make up for in depth. Boston is led by former Butler coach Brad Stevens and features former Brownsburg and Butler star Gordon Hayward, who is rounding back into All-Star form in his recovery from a broken foot that sidelined him for all but the opening minutes of the 2017-18 season. The Celtics' offense revolves around All-Star point guard Kyrie Irving, who led the team in scoring (23.8 points per game), assists (6.9 per contest), and 3-point percentage (.401). Boston's roster also features a mix of battle-tested veterans like Al Horford and Marcus Morris and talented recent lottery picks like Jaylen Brown and Jayson Tatum. The Pacers and Celtics have met five times previously in the playoffs, all in the first round. 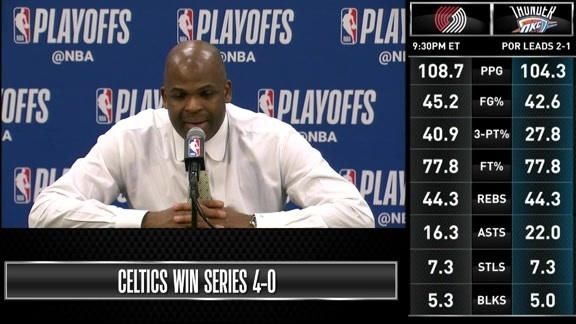 Boston prevailed in the first three meetings in 1991, 1992, and 2003, but the Pacers won the last two series in 2004 and 2005.